Excellent Care for Your Furry Family! Click Below To Learn More About Allergies In Our Furry Friends. Snider Veterinary Services is a full-service companion animal hospital for dogs, cats, rabbits, ferrets and pocket pets. We provide Preventative Medicine and Wellness Care, Internal Medicine, Surgery and Dentistry. We also offer Acupuncture and Chiropractic Services as an option for chronic pain management. We offer Laser Surgery options to minimize pain; an in-house Laboratory; and in-house Ultrasound with interpretation available by board certified radiologists. Since we first opened in Clinton Township in 1991, we have been proudly treating your pets like the valued family members they are. 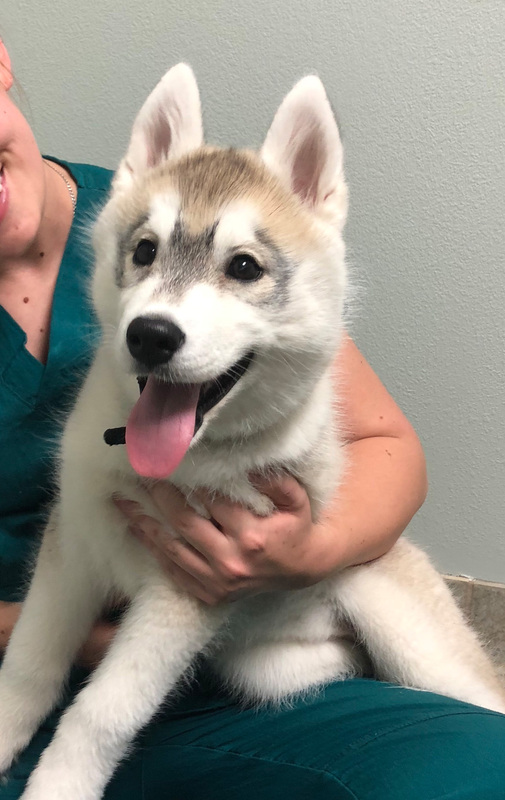 Our Veterinarians and Patient Care Team are experienced and highly trained to handle your pets needs and give to them the care you desire and they deserve. You can meet our veterinarians below. Dr. Andrew Snider, originally a native of a small farm town in Southeastern Ohio, obtained his Doctorate of Veterinary Medicine from The Ohio State University in 1984. While he is licensed in both Ohio and Michigan, he has practiced in Michigan since 1984, initially as an associate veterinarian for 7 years. In 1991, he established Snider Veterinary Services, a full-service companion animal practice. His veterinary interests include surgery and internal medicine. Dr. Snider is a member of the American Veterinary Medical Association, and the Michigan Veterinary Medical Association. He is married to Elaine, and they have two adult children, Andrew and Emma. Their pets include two adopted cats, Cinderella and Nala. Although still an OSU football fan, over the years, Dr. Snider and Elaine also have become avid MSU fans, tailgating at most home football games. Dr. Debbie Hamilton, a Cleveland native, attended Michigan State University for her undergraduate degree in Zoology, and obtained her Doctorate of Veterinary Medicine from The Ohio State University in 1997. Dr. Hamilton has been a full-time associate veterinarian at the practice since graduation. Her veterinary interests include preventative medicine, internal medicine and dentistry. Dr. Hamilton is a member of the American Veterinary Medical Association and the Michigan Veterinary Medical Association. She is married to Bill and they have two daughters, Rachel and Emily. Their family dog is a rescue Boxer named Chance. Dr. Hamilton is an avid sports fan, enjoys boating, traveling and family time. Dr. Drew Snider, is the son of Dr. Andrew Snider and Elaine. He obtained his Doctorate of Veterinary Medicine from Michigan State University in 2015. Dr. Drew has been a full-time associate veterinarian at the practice since graduation. He was also known to many clients before veterinary school as he worked at the practice in various capacities since he was 14 years old. His veterinary interests include internal medicine, preventative medicine and ultrasound. He is a member of the American Veterinary Medical Association, and the Michigan Veterinary Medical Association. He is married to Allison. They have one cat, Heimdahllr, which Dr. Drew adopted while in veterinary school; and one dog, Tucker which they adopted recently. Dr. Drew is a Michigan State fan, and enjoys travel and many outdoor activities. Dr. Lizz Reinke is originally from the Kalamazoo area. She obtained her Doctorate of Veterinary Medicine from Michigan State University in 2017. She also obtained training in Acupuncture for animals at the Chi Institute in Florida; and Chiropractic Care for animals at Options for Animals in Kansas. Using these alternative medicine practices, as well as, traditional western veterinary medicine, she provides a well-rounded approach to her care for animals. Dr. Lizz is a member of the American Veterinary Medical Association, the Michigan Veterinary Medical Association, and the International Veterinary Chiropractic Association. She joins us from a mixed animal practice in Sanilac where she was an Associate Veterinarian. She is married to Tim and they have a loving malamute, Mora, and a spunky kitten, Honey. Dr. Lizz loves the outdoors especially being in the UP, country music and horse-back riding.